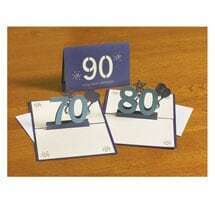 Milestone birthdays deserve special recognition… and very special birthday cards! 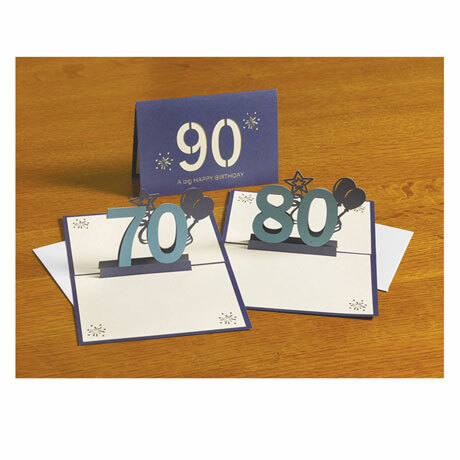 Our shimmering deep-blue 4½"x6½" Pop-Up Birthday Cards feature laser-cut details on the outside: birthday numbers and bursting fireworks details plus the message "a big HAPPY BIRTHDAY." Inside, a 3D display of the celebrant's age (with balloons!) rises over a creamy blank insert awaiting your heartfelt message of congratulations. Includes envelope.